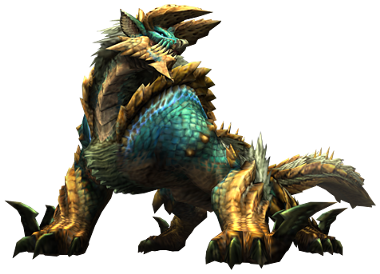 [the quest] "Howl at the Moon" featured Zinogre, a giant monster that looks like a blue-gold hybrid of a stegosaurus and a kimodo dragon. I didn't remember this monster from Tri, and the Capcom PR rep told me it was new to Ultimate but was on Monster Hunter Portable 3rd, the PSP adaptation. The Wii U's 1080p graphics offered lush environments with better use of lighting. You could see more vibrant separations between colors. Textures were more richly defined and I could see every fiber on the Zinogre's crystallized back. It also appeared that the game was running at a constant 60 frames per second, which the PR rep verified. I'm so looking forward to playing Monster Hunter in high def... This game is a system seller for me. Posted on October 31, 2012 by Eugene Huo and tagged WiiU mh3ultimate monster hunter new york nintendo. Capcom USA has confirmed to siliconera that you won't be able to play Monster Hunter 3 Ultimate on the Wii U gamepad screen. You will, however, be able to rearrange the UI on the Gamepad screen to suit your playing style, so that's a plus. It's unfortunate that off TV play is not supported, but I guess they feel the extra controls on the screen are too important to give up? Who knows. Maybe they are trying to drive sales of the 3DS version as well, so to play it on a handheld you need the 3DS. But that's just cynical me talking. Posted on October 26, 2012 by Eugene Huo and filed under News and tagged WiiU capcom mh3ultimate monster hunter. Do you think Monster Hunter 3 Ultimate is a good introduction to the game for those who are prospective fans to the series? Is there a chance that there will be a demo of MH 3 Ultimate? Any alternative control schemes possible for MH3U? Tsujimoto concluded with a message to the fans in the West. Posted on October 24, 2012 by Eugene Huo and filed under News and tagged WiiU mh3ultimate monster hunter. 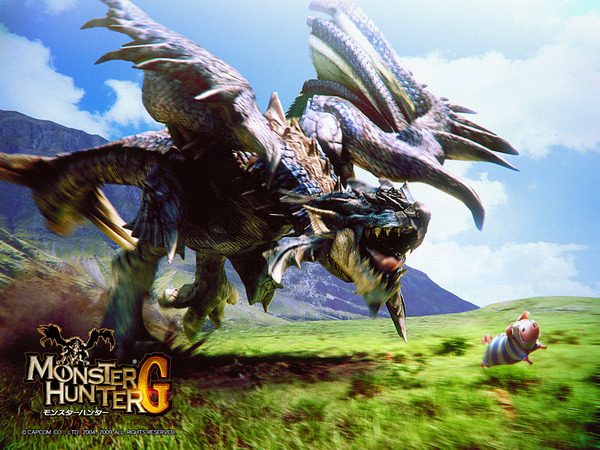 Posted on October 11, 2012 by Eugene Huo and filed under News and tagged WiiU mh3ultimate monster hunter.